Drew Meredith - Whistler Real Estate Ltd.
Drew Meredith has been an active community leader in Whistler since 1975. 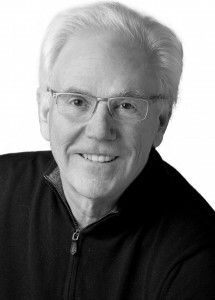 He came to Whistler in 1970 and joined The Whistler Real Estate Company in 1974. Drew loves the real estate profession and chose it because, as Drew says, he does not like to work in the rain. He has been very instrumental in the growth of the Whistler resort through his involvement with the Whistler Resort Association, now known as Tourism Whistler, a leading marketing organization in BC, and as the Mayor of Whistler through its largest growth period from 1986 to 1990. Drew was a founding Director of the Whistler Resort Association in 1979 and was the chairman of the Board from 1982 to 1986 when he became the Mayor of Whistler. As Mayor, Drew was instrumental in the push for additional summer recreational facilities and was directly involved in the development of the first Whistler Affordable Housing Policy – now the envy of resorts throughout North America. In 1990 Drew chose to leave municipal politics and returned to his business. In 1994 he was made a Freeman of the Resort Municipality of Whistler.